This generic blockbuster movie is likely to have critics thrashing it and fans openly embracing it, and this movie is no exception. 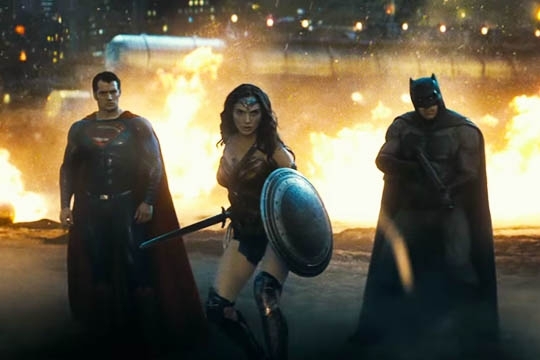 Directed by Zack Snyder with characters from DC Comics, Batman v Superman: Dawn of Justice is Warner Bros.’ foray into the slate of superhero movies set to arrive in the year ahead. American actor and filmmaker Ben Affleck plays Bruce Wayne and his alter ego Batman. This effectively replaces popular choice actor Christian Bale whom has played Gotham City’s hero in The Dark Knight Trilogy helmed by Christopher Nolan. Snyder begins the film by introducing Wayne when he was a kid as he witnesses the death of his mother, Martha Wayne. In comparison to Bale, Affleck puts up a more emotional performance as the caped crusader. Conflicted both internally and externally, he shows that there is nothing man cannot do once we set our minds to accomplish a task. In this case, it is to give Superman a good beating. On the other side, British actor Henry Cavill plays Clark Kent, a journalist, and his disguised identity Superman. 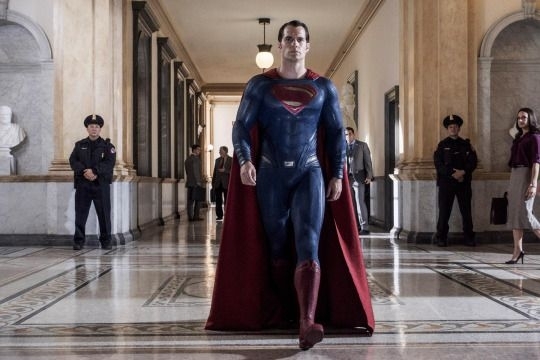 Cavill performs fairly well as a conflicted superhero who has to question his own purpose in a world of mortals. Alongside him daily is love interest Lois Lane, played by Amy Adams. Unfortunately for Adams, despite a noteworthy performance, Lois’ existence is seen as nothing more than a plot device to aid Superman. Most importantly, Wonder Woman makes her debut big screen appearance in this action adventure. Played by Israeli actress Gal Gadot, Wonder Woman also goes by her secret identity Diana Prince. While she is dangerous and potentially deadly, Wonder Woman is no femme fatale. Additionally, former model Gadot exudes charisma and is certainly badass as the only female superhero. Batman v Superman continues eighteen months after the destructive battle in Metropolis between Superman and General Zod (Michael Shannon) that occurred in Man of Steel. Wayne, whose dad was among the mass casualties after the fight, blames Superman for the damage. Subsequently, in his public identity as Clark, Superman sees Wayne as someone dangerous. Snyder develops the two main characters evenly and devotes ample screen time to flesh out the complex natures of both characters before their stories overlap. In the vein of DC Comics’ dark and menacing tone, Snyder packs his own punch in the film and incorporates humour at the slightest opportunity. He deals with the packed material with expertise and paces the plot structure comfortably within two and a half hours. Last but not least, German composer Hans Zimmer’s musical score is not one to be forgotten easily. The riveting tunes adds on to the dramatic elements and increases suspense for moments of revelation. To top it off, seeing the movie in IMAX 3D makes for ultimate viewing pleasure, especially for a blockbuster superhero movie of this nature. The rest, as they say, is for you to find out. Batman v Superman: Dawn of Justice is now showing in theatres. PS: There is no after-credit scene in this movie.